This stone fruit tart looks so pretty! And we have one more winner to announce from the Decorate Workshop giveaway! Congrats to Laura Souyoultzis who tweeted about the book here! You have won the 2nd copy of Holly's book! Please email me for details! And - Renegade Craft Fair Chicago and Urban Craft Uprising this weekend! Yay! Click here to see my latest posts at Babble (Psssst! They have a slick new look)! And I'm pinning for Martha Stewart Living this month here! we've been looking for a fire screen. something non-standard, a little vintage. love it, thanks for sharing! Rachael - thanks - such a nice compliment from someone who has such great taste! Barbara - i know that leaf - amazes me! Julia - i know - i almost hesitated pinning in fear it would be sold and i'd want to pick it up myself - love that screen! These are really beautiful, I love all the colours you have picked. LOVE these pins! 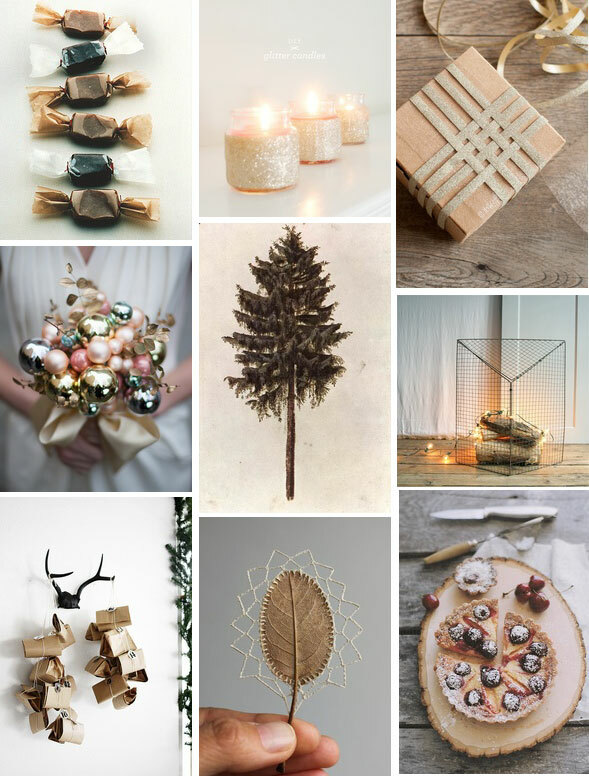 I'm loving all of the Christmas inspiration I'm finding on pinterest these days! So many great ideas! Lotts! - Thank you and thanks for visiting! Jenny - i know it's endless! What a gorgeous color palette. I love the bridal bouquet so much.